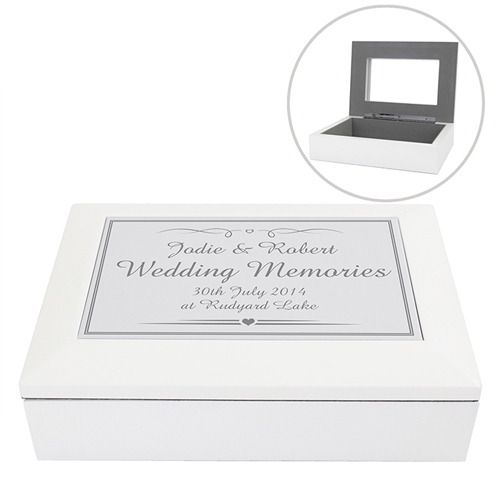 Personalise this Traditional White Wooden Keepsake box with any message over 4 lines of up to 100 characters overall. The Wooden keepsake box has a large compartment with a mirror in the lid. As this is made from wood these boxes are durable and long lasting. Please note: Due to the nature of this product and the font type used please refrain from using all capitals in your personalised message. If the message is all in capitals you will find the personalisation extremely difficult to understand and may even result in personalisation being missed off the product.